If you are having trouble getting fast and affordable pain relief, you must read this. It’s about a revolutionary new therapy called ETPS therapy. 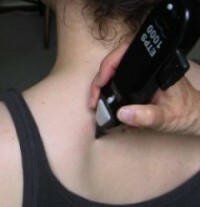 ETPS Therapy (now called MPS Therapy) is highly regarded by Doctors all over the world. Today, ETPS is used in hospitals, pain clinics, and physical therapy clinics throughout the USA, and is now recognized as the best non-pharmacological pain reliever on the market. This revolutionary treatment method is delivered with state of the art medical equipment. It is an FDA approved therapy that combines the principles of acupuncture and neurology with micro current stimulation. Around the world, ETPS/MPS is successfully helping many patients eliminate &/or control their pain levels and resume normal functioning in their lives again. Safer, faster and more effective pain relief. The trained clinical staff at Back In Motion Sarasota Physical Therapy often has dramatic results with ETPS therapy after only one or two 10-minute office session. Many clients can expect to leave our clinic the very same day the treatment was applied with instant relief which does not wear off like traditional methods of pain control, such as oral medication, heat, ice, ultrasound and electrical stimulation. No matter the severity of your medical diagnosis you are likely to get same day dramatic results. 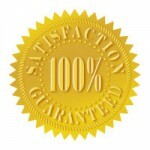 We are certified providers. Learn more about this amazing treatment, click here. Other Modalities and Electrical stimulation devices being used with little benefit or short acting pain relief. They do NOT do what ETPS/MPS does. They do NOT promote an underlying healing of the tissues. Our specialized treatments such as: ETPS/MPS, Fenzian, and the ML830 Cold Laser actually work. When you combine the effectiveness of these treatments with the expertise and knowledge on the newest, latest and most effective hands on techniques you get RESULTS. Stop going to bed in pain. Stop waking up in pain. Stop living your life in pain. Call Back In Motion Sarasota Physical Therapy today at (941) 925-2700. Back In Motion is currently accepting medical insurance including Medicare for our ETPS/MPS treatments. In most cases there is little or no cost. If you have a high copay or a high deductible and have a concern with the cost of your Physical Therapy care, simply ask to speak to our financial officer (Laura) and we will see what we can do to get you the care that you need to get better today. Be wary of other providers such as massage therapists performing ETPS/MPS therapy and charging you for it out of pocket. At Back In Motion the ETPS/MPS Therapy is performed by a licensed Physical Therapist or under a licensed Physical Therapist plan of care, and therefore the service is covered by health insurance.